Nick Jonas Photos, News, and Videos | Just Jared Jr. 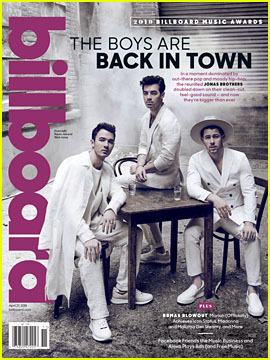 The Jonas Brothers are looking so handsome on the new cover of Billboard, which is out now. For more from the Jonas Brothers, head to Billboard.com. 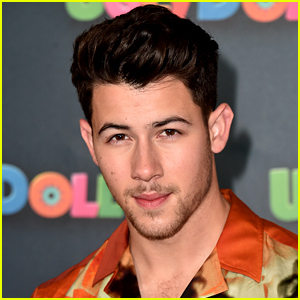 Nick Jonas Provides Sneak Peek at 'UglyDolls' Song 'Ugly Truth' - Exclusive Video! Nick Jonas is sharing a sneak peek at his brand new song “The Ugly Truth” from his movie UglyDolls, exclusively on Just Jared Jr! “The song itself is basically, if you’re not perfect, you gotta go. But I think deep down, [my character] really just wants to be loved and accepted for who he is,” Nick said of the song. 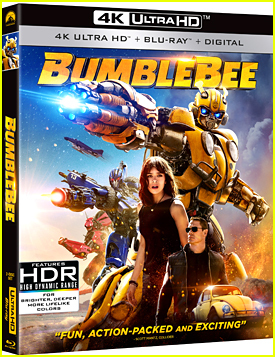 Kelly Clarkson, Janelle Monáe, Blake Shelton and Pitbull, Emma Roberts, Bebe Rexha, Charli XCX, Lizzo, Wanda Sykes, Gabriel Iglesias, and more star in the film, which will hit theaters on May 3! Here’s a synopsis: In the adorably different town of Uglyville, weird is celebrated, strange is special and beauty is embraced as more than simply meets the eye. Here, the free-spirited Moxy (Clarkson) and her UglyDoll friends live every day in a whirlwind of bliss, letting their freak flags fly in a celebration of life and its endless possibilities. In this all-new story, the UglyDolls will go on a journey beyond the comfortable borders of Uglyville. There, they will confront what it means to be different, struggle with their desire to be loved, and ultimately discover that you don’t have to be perfect to be amazing because who you truly are is what matters most. 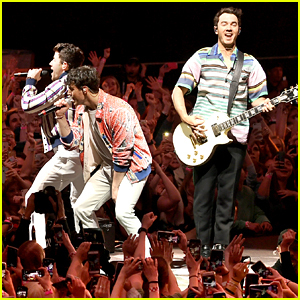 Jonas Brothers have some exciting news! 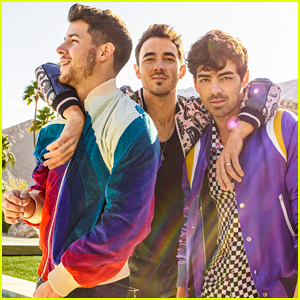 The brothers – Nick, Joe, and Kevin – just announced that they will be releasing their brand new album, called Happiness Begins, on June 7. “#HappinessBegins June 7th. Can’t wait for you guys to hear this album!,” Joe captioned with his Instagram post. 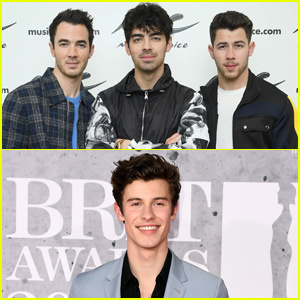 In support of the new album, the guys are set to perform at the 2019 Billboard Music Awards on May 1, as well as Saturday Night Live on May 11. It looks like Nick Jonas and Priyanka Chopra are having a fun-filled Easter! 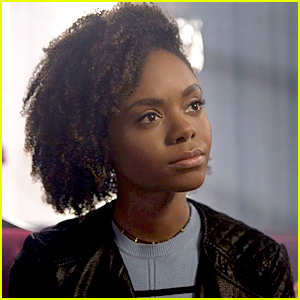 The Jumanji: Welcome to the Jungle star and the Quantico actress gave fans a glimpse of their Sunday (April 21) on their Instagram accounts. 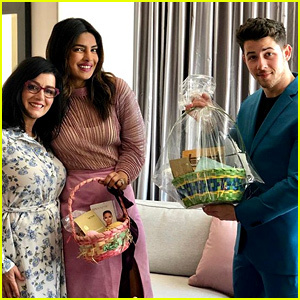 “Happy Easter from ours to yours.. 📸 @papakjonas 🐣 ❤️🎉,” Priyanka wrote along with another pic featuring the duo holding up their Easter baskets while posing with his mom Denise. Nick suited up in blue, while Priyanka sported a pink top and skirt. ICYIM, Nick recently had a four-word response when asked about having kids with Priyanka! FYI: Nick is wearing a Perry Ellis suit. We’re so excited to see The Jonas Brothers put on a show! The “Sucker” band will perform at the 2019 Billboard Music Awards on May 1 at 8 p.m. ET on NBC, the show’s producers confirmed on Thursday (April 18). The group will perform their No. 1 smash, “Sucker,” on the show. It will also be their first televised awards show performance in a decade! Previously announced performers include BTS, Halsey, Kelly Clarkson, Lauren Daigle, Khalid, Sam Smith and Normani, as well as 2019 Icon Award recipient Mariah Carey. Click here to see the full list of nominees! The Jonas Brothers are making their return to Saturday Night Live! It was just announced that the bros will be the musical guest on the May 11th episode, set to be hosted by Emma Thompson. The last time the brothers made an appearance on the show was back in 2009. 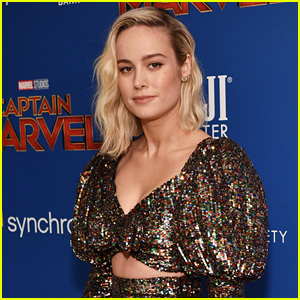 It was also announced that Adam Sandler and Shawn Mendes will appear on the May 4th episode, while Paul Rudd and DJ Khaled will appear on the season finale on May 18th.